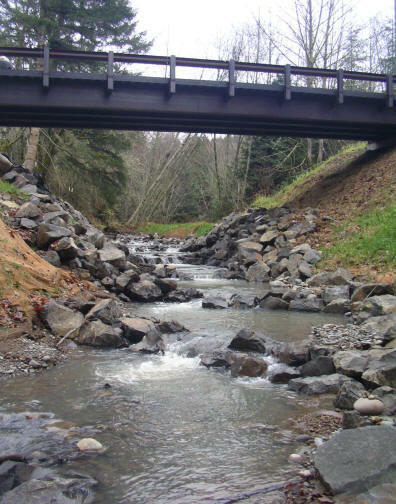 A culvert survey was completed for all of WRIA 23 (Watershed Resource Inventory Area) located in Lewis County, and a portion of WRIA 23 located in Thurston and Grays Harbor Counties, Washington. The total area surveyed was 569,600 acres. 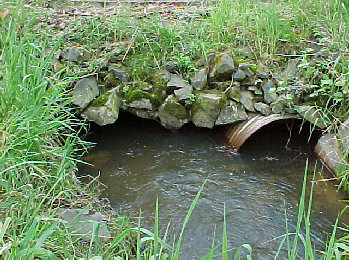 Culverts, if improperly installed or deteriorated over time, can prevent or limit the ability of adult and juvenile salmonids to access all habitats. Coho salmon, searun cutthroat, and steelhead travel up into the smaller streams and are therefore more likely to be impacted by blocking culverts. It is important that fish have access to all habitats to spawn, elude predators, find food, and escape high flows. However, a complete database that listed all the culverts in the system did not exist. 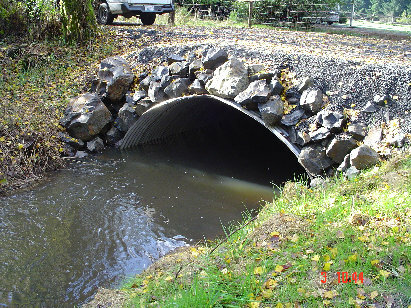 Therefore, the Lewis County Conservation District undertook the task of finding and evaluating culverts. The data that was acquired was combined with existing information to make a complete map and database. This project was funded by grants from the Washington State Salmon Recovery Funding Board and the Chehalis Fisheries Restoration Program of the United States Fish and Wildlife Service. WRIA Survey of Salmon Habitat – Download Map File. When culverts are evaluated they fall into the categories of impassable, passable or unknown, based on the ability to pass a 6 inch trout. If a culvert is rated impassable it is not necessarily a total barrier to fish passage. It can be causing a delay or limiting a certain life-stage of the salmonid. A passable culvert allows the 6 inch fish to pass the culvert at all times. Unknown culverts were unable to have barrier status determined. The Lewis County Conservation District utilizes the Washington State Department of Fish and Wildlife Salmonid Screening, Habitat Enhancement, and Restoration (SSHEAR). priority index method to rank the culverts that would benefit fish by being replaced. The Fish Passage Priority Index takes into account the habitat gain, the mobility and health status of the fish stocks that would benefit from increased access to the habitat, and the projected cost of the project. The fish passage priority index is a valuable tool to be used with other relevant factors to select projects for correction. 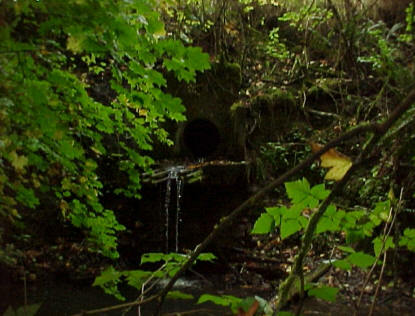 This 26 inch culvert had an outfall drop of five feet preventing all fish passage (2004). The culvert was replaced with a bridge in the summer of 2008. 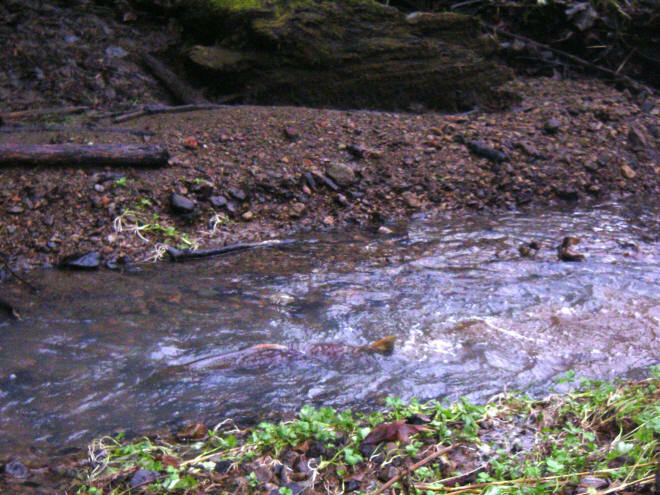 In Fall of 2008, Coho were observed spawning upstream of the site. This culvert was collapsing in the center therefore restricting fish passage.